Photonic BioSystems actively seeks strategic relationships with companies and individuals that result in mutually rewarding benefits. 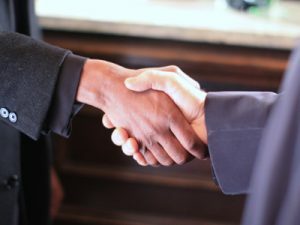 These relationships take the form of IP licensing agreements, corporate partnerships, joint ventures, and corporate/private funding investments. The synergistic effect created when working with a strategic partner/alliance is highly valued at Photonic BioSystems. Developing relationships (and business arrangements) that further the technological advancement and commercialization efforts of their technologies are a cornerstone of the company’s business model. Photonic BioSystems makes every effort to properly and promptly address and define all business opportunities with outside parties. Photonic BioSystems encourages any business or individual to contact them regarding a potential business opportunity to determine if a strategic fit exists. No business is too small or too large to form a relationship with if there are benefits to be gained by both entities.